In today's jump-cut news cycle, it's easy to forget news from days ago, much less months or years. 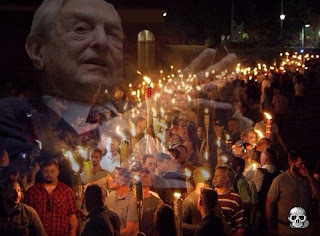 But, in January of 2018, celebrated National Socialist, George Soros -- the primary financial backer of Hillary Clinton's failed 2016 Presidential bid -- declared war on Facebook, calling it a "menace," and "obstacle." Despite "whistleblowers" noting that Facebook allowed NGOs (shell fronts) and "think tanks" (terrorist organizations) to gleefully plunder members' data for Obama's 2012 (s)election, organized crime is specifically angry with a single company, Cambridge Analytics, because it worked for the Trump campaign. It also works with ISraeli firms, just like the FBI does. But organized crime fails to mention that, as ISrael is command central for their incessant war crimes. 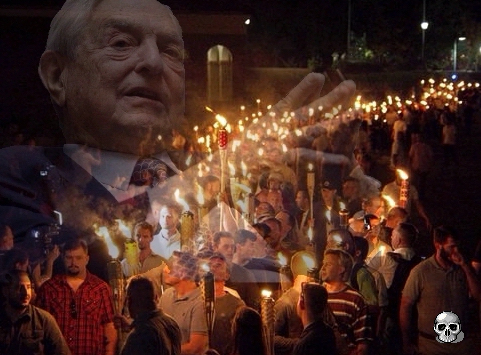 Is George Soros behind the recent Twitter purge? Yep. Is George Soros behind the #BLM landgrab? Absolutely. Did George Soros make Bernie Sanders an "offer he could not refuse" and instruct the DNC to embezzle Sanders' donations? Definitely yes to the former; a strong possibility as to the latter (but it can be demonstrably proven that he was aware of the plan both prior to its enacting, and afterward). Is George Soros behind the recent multi-pronged attack on Facebook? Let him answer that in his own words. Never one to let a tragedy of her own making go to waste, War Criminal, Hillary Clinton - wanted in the US on charges of High Treason, multiple counts of First Degree Murder, as well as Conspiracy to Commit, Embezzlement, and more - said she wants to be CEO of Facebook! But don't feel sorry for Facebook: Ever true to its military installation roots, Facebook entered a profitable contract with a terrorist organization.